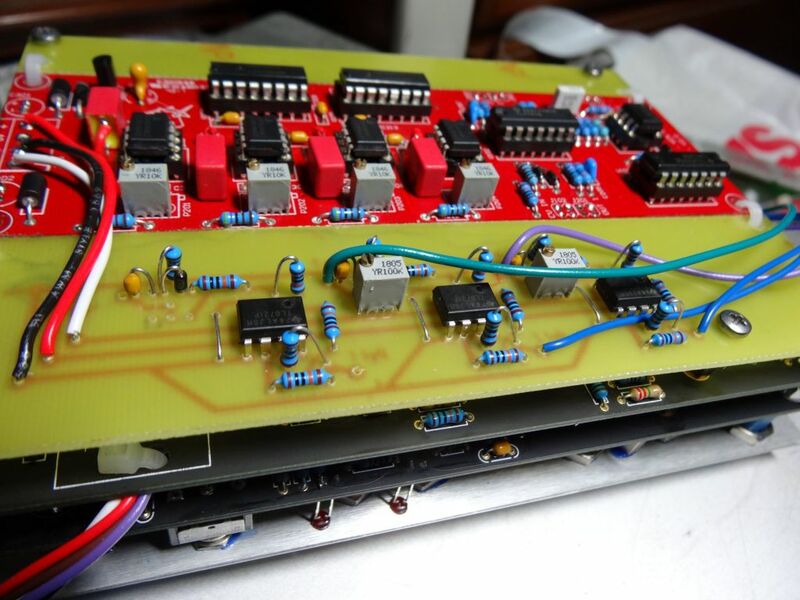 This module is for sale and I'll be posting the etch artwork for the daughterboard shortly as well as full instructions if anyone wants to mod theirs. Let me know in the replies and if so I'll post a DIY forum how-to. The 244 Analog Shift Register has a crazy offset (up to and over 100mv) and fast droop. A CGS/Elby ASR PCB lowers the offset to 1 to 2 millivolts and has slow droop (falling CV if the S/Hs aren't retriggered/refreshed). 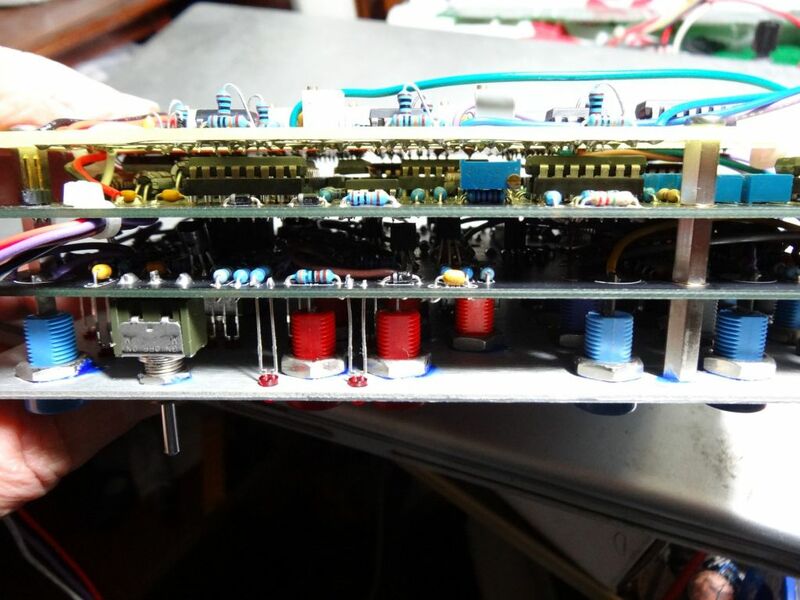 I found the 244's ASR just was wonky and Dave Brown completely confirmed and qualified why in his blog. This solves the problem by entirely replacing the circuit. There are three circuits to convert the 244's Manual Triggers, which are +12V sustained voltages without an initial pulse, to a pulse which can fire external Buchla modules and the 244's Pulse Divider and Sequential Switch (the +12V stock Manual Trigger does not trigger those two sections unless modded like this). I've stuffed several components horizontally to achieve a total depth behind the front panel of 50mm for shallow boats. To achieve that requires multiple changes to how parts are stuffed on the 244 main PCB. I'm told the SAModular boats have 59mm clearance/space beyond the EDAC so this is for you. Great, glad it can be of help, I'll post my findings to the DIY forum in a day or two! Cool and just in time! Nice work. I spent a lot of time on the ASR and managed to get offset to stay relatively low after some changes I made, but it was never perfect and think it still had drift. I also had problems with negative bounce on the manual switches and double triggers, so I ended up using diodes to link to the jacks, and experimented with a few capacitor values to debounce. This was over a year ago at this point and don't remember the specifics of either. The black PCB thing is really awful too. I built Ken's ASR aeons ago, and it is rock solid - always wondered why it didn't get more attention. good call, Mike! Haven't yet posted as I'm going to try to block the negative blip in the Manual Triggers.